We are fundraising for the United Way from Oct. 20-Nov.30. 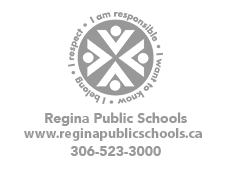 The United Way has supported Regina Public Schools through summer reading camps and donations for classroom libraries throughout the city. We will kick off this fundraising event tomorrow (Oct. 20) with a candy guess. Your child can guess the amount of candy in the jar which will cost .50 cents/guess. Ms. Schmidt (Ms. Cullins' intern) has been teaching the Grade 1s about kindness and extending your kindness by giving back to the community. The students were very interested in helping animals, so Ms. Schmidt took the initiative to make cat toys (with the grade 1s) and collect blankets for the Regina Humane Society and other shelters. As with every year, we give two weeks as a deadline for QSP orders, then extend it another two weeks. Therefore, QSP sales have been extended to October 20th, 2017. We had a great day on Sunday cleaning up the school grounds and planting bulbs. Lots of families were out and everyone worked hard, enjoyed coffee and Timbits, and accomplished A LOT! Mr. B was out with his trailer and was able to haul away yard waste and wood. We put in somewhere close to 350 of the 500 bulbs, which was way more than expected!